The Impossible I-1 is the first new 600-type instant film camera released in many years and is now shipping at B&H Photo. The I-1 accepts the old Polaroid 600-type instant film (now made by Impossible Project), along with the new I-Type film from Impossible project. The notable advances in the Impossible I-1 include iOS and WatchOS compatibility, an 82-109mm lens, a 5-zone AF system, a built-in ring flash and the inclusion of a rechargeable battery. Having its own battery means that the new I-Type film, which is made for this camera, doesn’t have to include its own battery pack. This seems to shave a couple bucks off the cost of a pack of film. The I-1 instant camera retails for $299. Check it out here at B&H Photo. 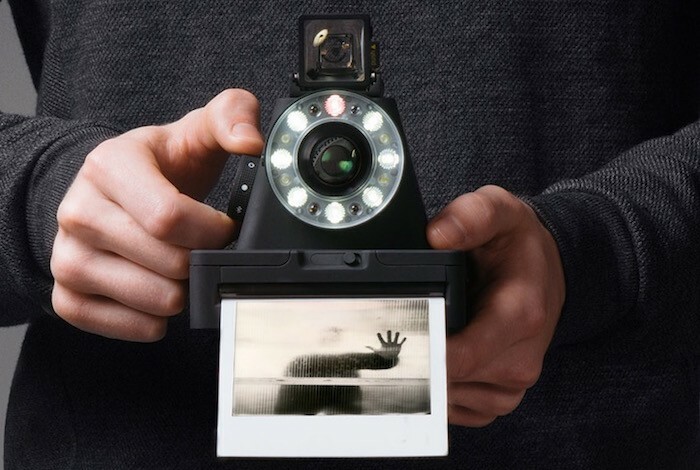 Impossible Project just announced its very first camera, the I-1, which uses Polaroid 600 film. Impossible Project is currently the only manufacturer of Polaroid 600-type film and there hasn’t been a new 600-type camera released in years.